A tattoo which I did for my customer today, made me understand of how comical life can be in its own way. It made me realise of how simple life is. 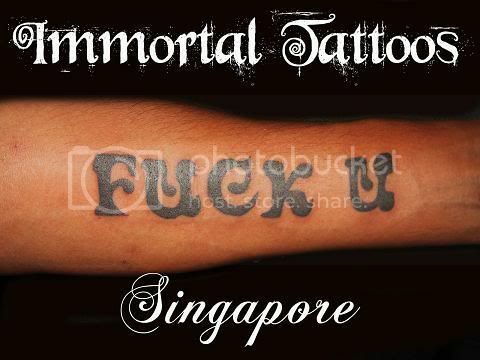 A beautiful tattoo which not many would prefer it on their body. A statement which differs you from the rest. Well, it is for life - So might as well, live with it !! 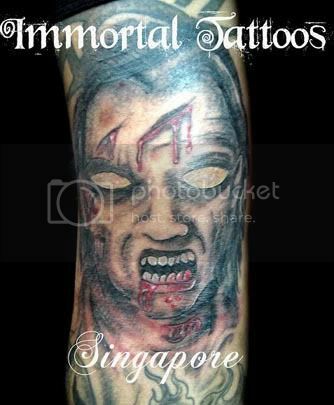 Immortal Tattoos, Singapore turns 2 !! What better way to celebrate it than have a Indoor Beach Party @ Chillies !! Don't ask me how this picture came about..It just did !! I am not part of it !! Really !! Oh My !! 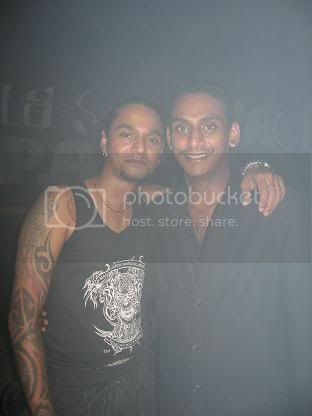 Hate us for being party animals!! Do the Egyptian walk, my friend..
Now !! Get the paparazzis out !! out !! out !! I thank everyone for the support over the 2 years !! Till then, you guys know where to find us !! Feel the wrath !! Another random Demon tattoo. Had a customer walk in today to get something around the tribal dragon which he already had. So I created something for him and did what I was suppose to do. He left with a big smile on his face. 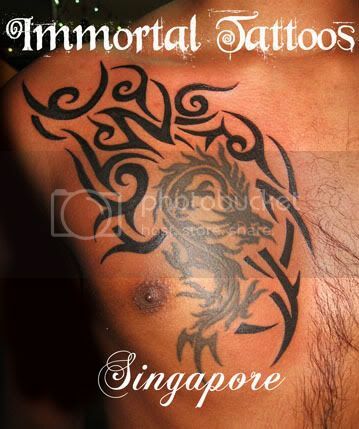 Another satisfied customer at Immortal Tattoos, Singapore !! Please note that the Tribal Dragon was NOT done by me.